A research and development tax credit will be made available to any business which stimulates innovation by growing its R&D activity, the Government has announced. But the decision has leapfrogged the Tax Working Group, which was tasked with examining the structure, fairness and balance of New Zealand’s tax system. 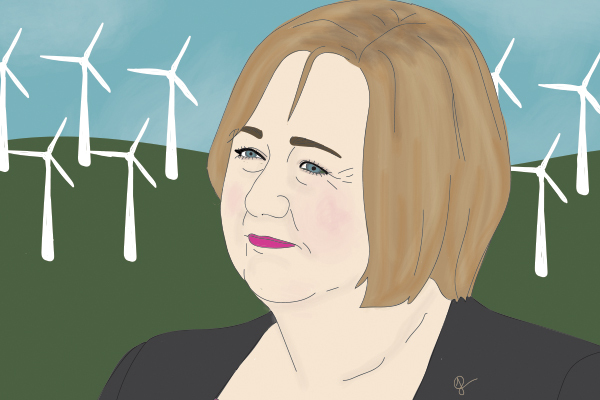 Research, Science and Innovation Minister Megan Woods has launched a six-week public consultation period in a bid to have the tax credit ready in a year’s time. From April 1 next year, a 12.5% tax credit on eligible expenditure will be available to business doing R&D in New Zealand. A business will be able to claim a tax credit for up to $120 million of R&D expenditure each year, equating to a tax credit of $15 million each year, based on a 12.5% rate. New Zealand’s current R&D expenditure is almost 1.3% of GDP meaning to reach its goal, a further $2 billion would need to be invested. Even at 2%, New Zealand’s R&D expenditure would be below the OECD average of almost 2.4%. Although sustained increases in Government investment will be important, there also needs to be an increasing contribution from the private sector, Woods says. The R&D tax credit will be implemented by April 1 next year but over the next six weeks, the Ministry of Business, Innovation and Employment, Inland Revenue and Callaghan Innovation will be seeking public feedback on the proposal. Revenue Minister Stuart Nash says it will be a simple process and will open access to those that have either struggled to access support or have been shut out of the process in the past. This is not the first time an R&D tax credit has been used in New Zealand. A tax credit for R&D expenditure was included in the Business Tax Reform package of Budget 2007. The resulting tax credit was short-lived and applied only for the 2008/09 income year before being abolished in favour of R&D related grants. According to EY Partner Darren White, the tax credit could include the cost of employee remuneration, training and travel costs of employees conducting R&D, and payments to other entities commissioned to conduct R&D on behalf of the entity. Under the previous Government, the tax credit was 15% but before the election, Labour said it would be 12.5%. NZ First, however, favoured an R&D tax credit starting at 125% in the second year when a company invests 2% of its revenue on research, rising to 150% for the third consecutive year and 200% from year four onwards. Visit MBIE’s website to read the R&D tax incentive discussion document and to make a submission here. I could't see anything on how much this will cost. Any links or ideas on that? Large corporates will definitely use it to avoid tax by simulating R&D. It will not help to startups as they have no income to be taxed. The corporates won't need to spend any more as they will just be able to take the free money for what they are doing already, plus any other expenditure they can re-classify as R&D. Then split the proceeds between senior management for being very clever. The bad thing about National is they close all the loopholes. Well done Labour for opening a new one. I predict lots of hand rubbing and happy visits to happy accountants. Lots of happiness in fact (for the few that benefit, that is; the other 4.5 million won't notice the cost as it is spread evenly amongst them). There will immediately be a scramble to re-describe existing activities as 'R&D' to take advantage of the free munny on offer. Whether it will grow the absolute amount of R&D in this fair country, is another matter entirely. National were right in abolishing R&D tax credits and putting grants in place. This way capable grant committee members were given the power to assess R&D business cases instead of a tax assessor at IRD. This would solve a problem (low R&D spend % to GDP) but only on face value because more firms will classify regular expenses as R&D expenditure. However, that's what Jacinda and her team are all about. They prefer being photographed pretending to work than actually do something meaningful for the country. It would be nice to know exactly why we apparently spend less on R&D than other countries. Is it an artifact, I wonder; because there is no tax break we just don't bother classifying head office expenses as R&D, while countries with a tax break do? I can't say I'm a fan of National's government committee system either, having gone through that system many years ago in the UK. Accelerated capital depreciation might help perhaps. Surely someone, somewhere, knows what works and what does not. Exactly. The same thing happened the last time this was rolled out. It's nice in theory, but in practice it's just abused. Let me outline the existing help that is available to help an innovator to advance their technology. Firstly the only help available is for R&D. Not other help is available to do any market validation, start up production, or generally turn an idea into a business. The R&D available is distributed from MBIE exclusively through Callaghan Innovation (the privatised DSIR, name changed recently from IRL to Callaghan). As a contrast to Callaghan Innovation, the USA still has sixteen government laboratories that all arose out of the Manhattan Project. R&D grants available start at $1,000,000. ( Callaghan won't actually tell you this, I leant it privately from a director) They grants are only matched 50/50 to the applicants contributions. The R&D can't be conducted in-house, the grants are to pay a third party to do the work. In summary if you are a small startup enterprise, forget about government help. Use this as a smart advice to help you save time being run around in circles. Much of this doesn't seem to be the case for a company I have shares in which has just picked up a 20% rebate on R&D from Callaghan which I am pretty sure will apply to in-house work. As an employee of a company that received funding thru Callaghan, i can assure you the money can be spent in house. Also to be aware of is the cost of receiving such largesse is not insignificant, doing all the paperwork and ticking all the boxes, paying for Audits etc eats into time and money. LOL, I misread that as "paying for Audis." Much the same thing isn't it?